Posted on 20th September 2018 at 11:11 AM. “…It’s why we created the Social Innovation and Entrepreneurship Development Fund (SIE Fund) five years ago. The Fund was designed to support social entrepreneurs, those focused on developing innovative and successful products and services for society’s needs. 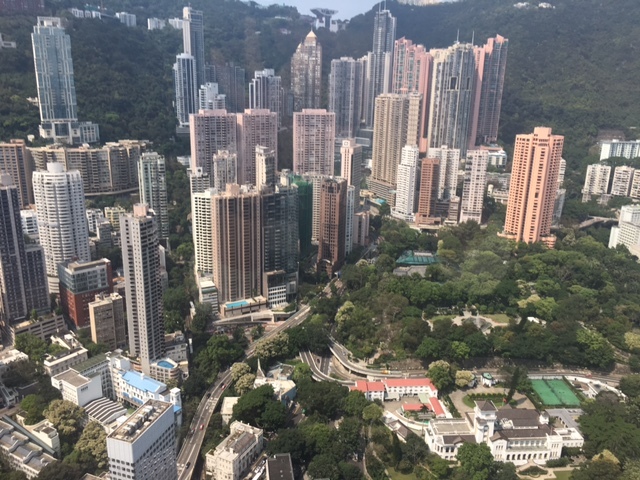 Over the past three years, the SIE Fund has put more than HK$120 million into 140 projects, and I am pleased to say that it’s finding success. Mrs. Lam has been a long-time supporter of the programme, giving the keynote speech at our launch event over 3 years ago. We are honored to receive such public praise from her, just as we are honored to work alongside the SIE Fund to nurture Hong Kong’s promising social minds. We shall continue our efforts anew! Mrs. Lam’s full speech can be viewed here. Posted on 30th April 2017 at 4:14 PM. 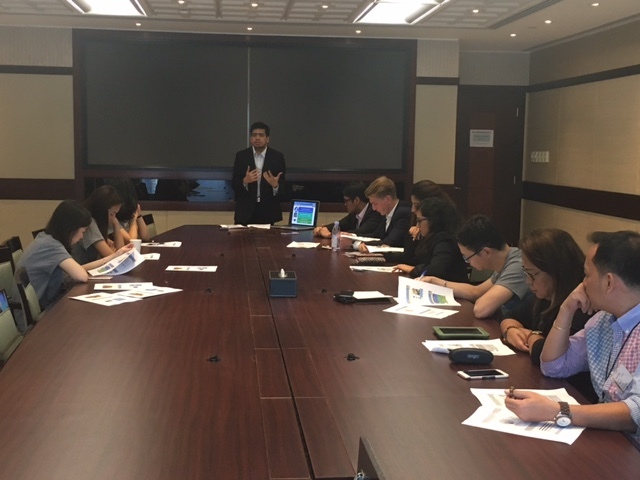 On a bright and lovely Sunday, just a few days out from the final pitch night, our HKUST Spring 2017 students and Social Venture Partners were blessed with the opportunity to visit the Goldman Sachs HK office, to work out the final kinks in their presentations with 16 Goldman Sachs volunteers. The volunteers are part of the Community TeamWorks program, and come from different departments across GS, offering valuable insights from a variety of perspectives to our social entrepreneurs and budding changemakers. 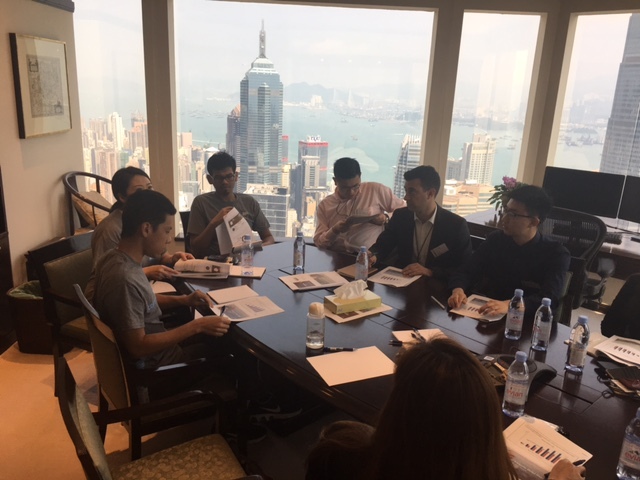 Amidst a backdrop of stunning 360 views of Hong Kong’s stunning landscape, the teams went through a full day of mock pitches and discussions, as the GS volunteers dissected every last detail of their business plans, strategies, funding models and pitching performances. The feedback from all parties has been overwhelmingly positive, and we hope to continue such meaningful engagements going forward. Now the teams must scramble to incorporate all of the great advice and revamp their presentations for this week’s Funding Committee Meeting. Posted on 16th February 2017 at 12:17 PM. 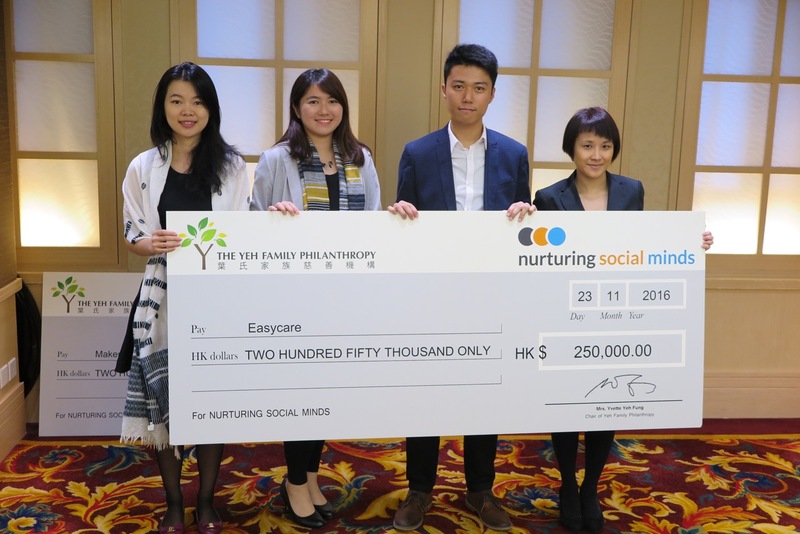 The Yeh Family Philanthropy was asked by our friends at Leping Social Entrepreneur Foundation to contribute an article about the Nurturing Social Minds programme in Hong Kong, so that the lessons learned from the tripartite partnership between foundation, government and universities can be shared with practitioners elsewhere. It is an honor to be able to tell our story to a global audience. Posted on 23rd November 2016 at 11:11 PM. 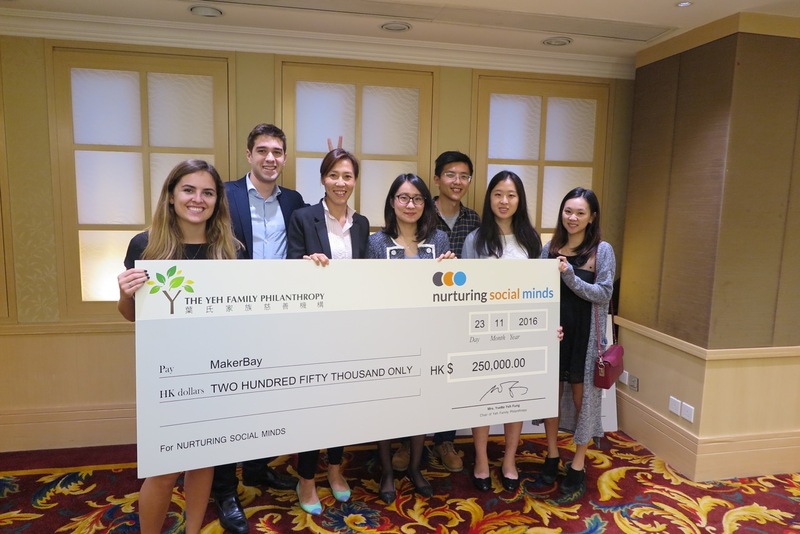 All semester long, the students of The Hong Kong University of Science and Technology (HKUST) and The Chinese University of Hong Kong (CUHK) learned about how social innovation and social entrepreneurship can address society’s problems. 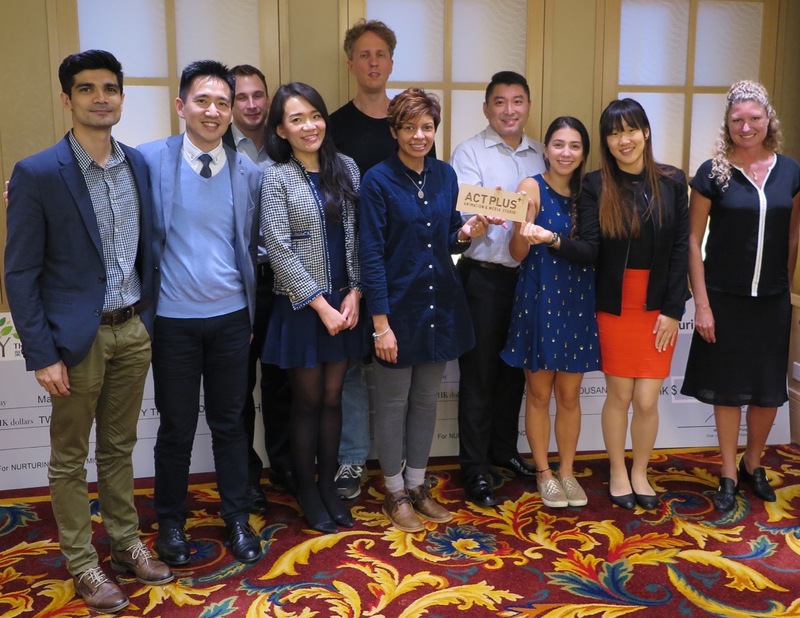 Outside the classroom, these brilliant individuals have formed teams to work tirelessly as consultants alongside the social businesses they chose to partner with. Some have taken field trips to understand the ultimate beneficiaries they wanted to serve; others have applied design thinking principles in delivering their recommendations. 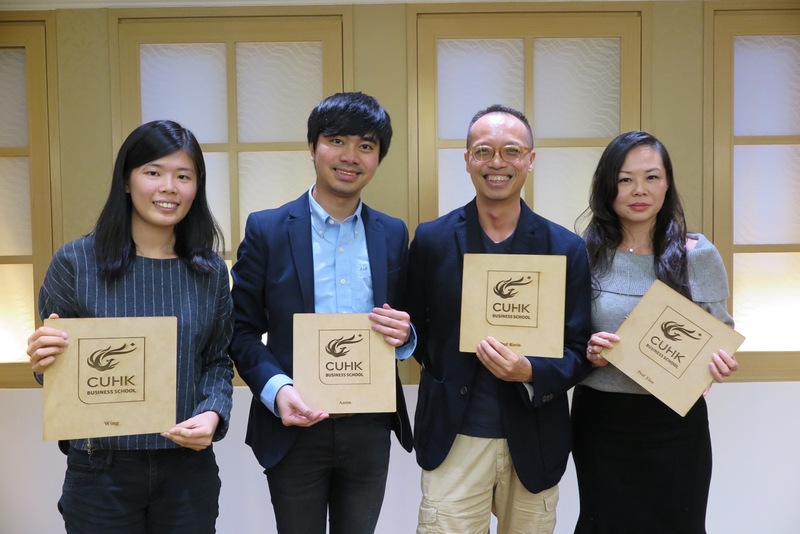 Last week, on consecutive evenings at HKUST and CUHK, the student teams passionately delivered their pitch presentations to panels of industry experts. 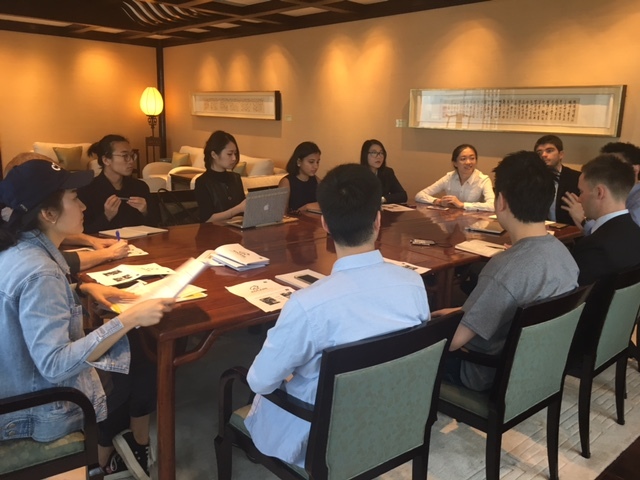 The students then took on the role of funders themselves, evaluating the presentations of their fellow student teams and helping to decide where two separate grants of HK$250,000 would go. Now the heavy lifting is done. 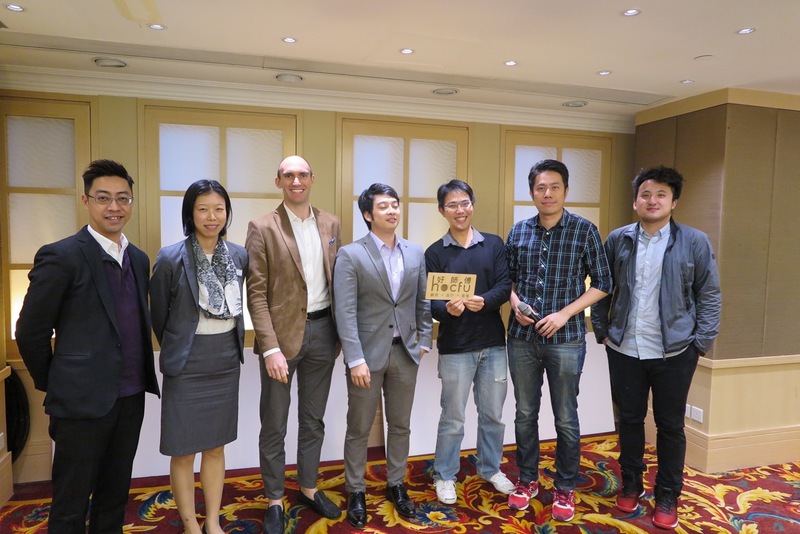 The two winning social enterprises were MakerBay from HKUST and Easycare from CUHK. Both were ecstatic about winning their Big Cheques, but secretly wondering how they would cash them in! All of the student teams and social entrepreneurs all shared their experiences with the room, gave their thanks and hugged each other after such a rewarding journey. Tears and fond farewells marked the end of old collaborations, while smiles and hopeful handshakes began new ones. What an amazing way to end the term! We have a new University Partner! Posted on 7th July 2016 at 10:33 AM. 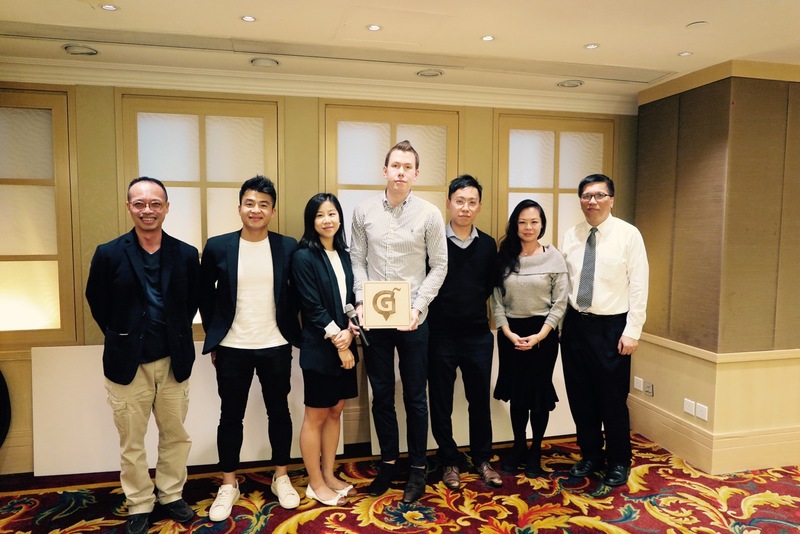 Nurturing Social Minds is excited to announce our new partnership with The Chinese University of Hong Kong (CUHK) Business School! 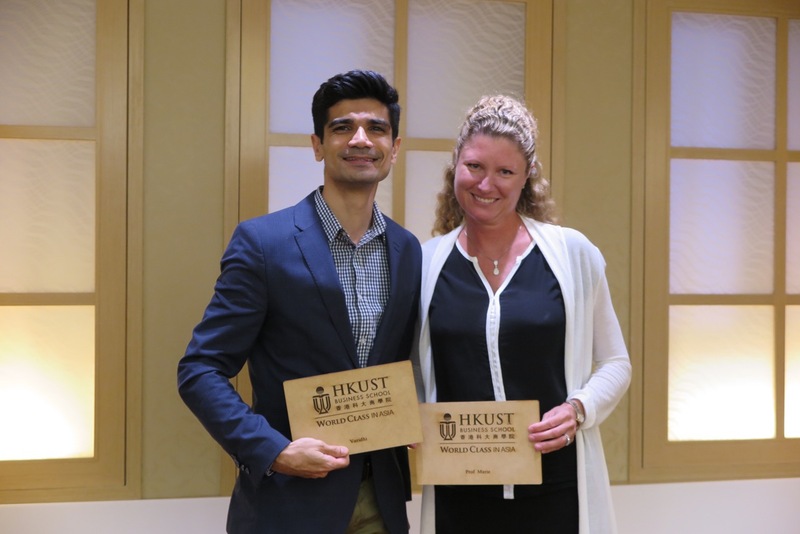 Under the partnership, CUHK Business School will develop and deliver a new course on social entrepreneurship and venture philanthropy for its students. The course will be launched this fall and begin student enrollment this summer. 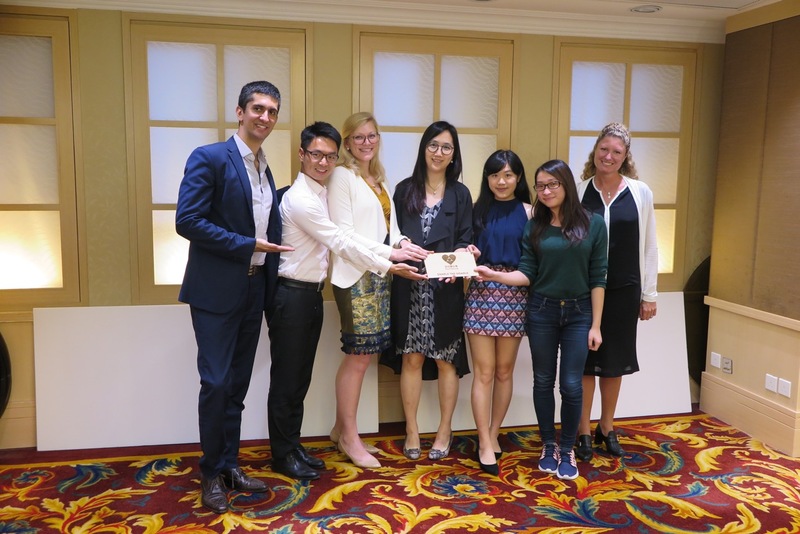 The course welcomes students from CUHK Business School’s MBA, master’s and undergraduate programs to join. 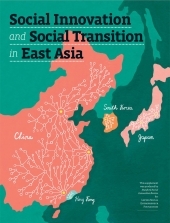 The course will be co-taught by Prof. Kevin Au along with a dedicated teaching team. 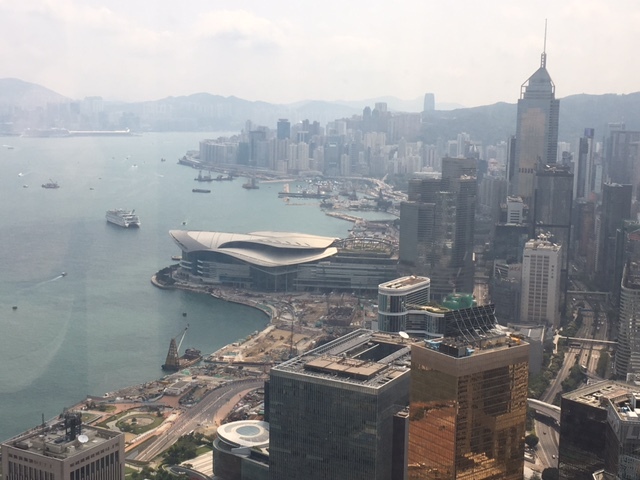 In addition to lectures, CUHK Business School students will be learning from pioneers and practitioners from the field of social innovation, both in Hong Kong and internationally. There will be valuable opportunities for networking with high-level executives from corporates, foundations and government. Students will work in teams as consultants for curated social enterprises that have already proven their concept, to help scale up operations. 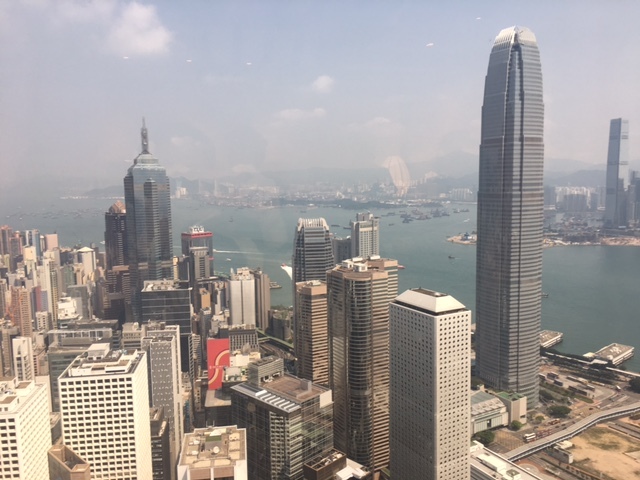 The student teams will then be pitching on behalf of their social venture partner for HK$250,000 in grant funding from The Yeh Family Philanthropy. Posted on 29th May 2015 at 9:53 PM. This evening, TVB’s Money Magazine did a feature on startups in Hong Kong, highlighting the struggles that startups face…for every success story there are nine stories of failure. For the feature, TVB interviewed Timothy Yu, founder of Snapask and one of our Social Venture Partners for Spring 2015. Find out more about Timothy’s entrepreneurial journey in the links below! Also featured is our good friend from Good Seed, Raymond Chu. You can find an online version of the entire show here, or download the feature here. Posted on 27th May 2015 at 1:42 PM. Launched initially in 2013 as a two-year pilot programme, the current intake is capped at 25 per class. This may increase and, subject to further discussions, the concept may also be extended to other local universities. In part, this reflects a growing interest on campuses and in the wider community in the work of social entrepreneurship and venture philanthropy. It would also allow YFP to continue “building capacity” in line with its stated mission of promoting education and assisting a range of organisations dedicated to finding innovative or preventive solutions to social and environmental problems. A key element of the course sees students going out to work with pre-selected social ventures, with the expectation that they “get their hands dirty”. The participating organisations focus on schemes like barrier-free schooling for individuals who are wheelchair-bound or hearing-impaired, improving care for the elderly and encouraging children from better off families to ask for a donation to charity in lieu of an overpriced birthday present. Posted on 20th May 2015 at 4:28 PM. With a little inception amidst a flurry of activity, Nurturing Social Minds launched its website today. Posted on 13th May 2015 at 4:44 PM. The chief architect behind Nurturing Social Minds (“NSM”) and Chair of The Yeh Family Philanthropy, Yvette Yeh Fung, normally keeps a very low profile. To support the launch of the NSM Programme however, Yvette has done a series of interviews with media publications around the city. The Hong Kong Economic Journal today released an endearing article profiling Yvette, discussing not only the Programme itself, but also delving further into the mind of this modern-day philanthropist. Posted on 12th May 2015 at 11:11 PM. 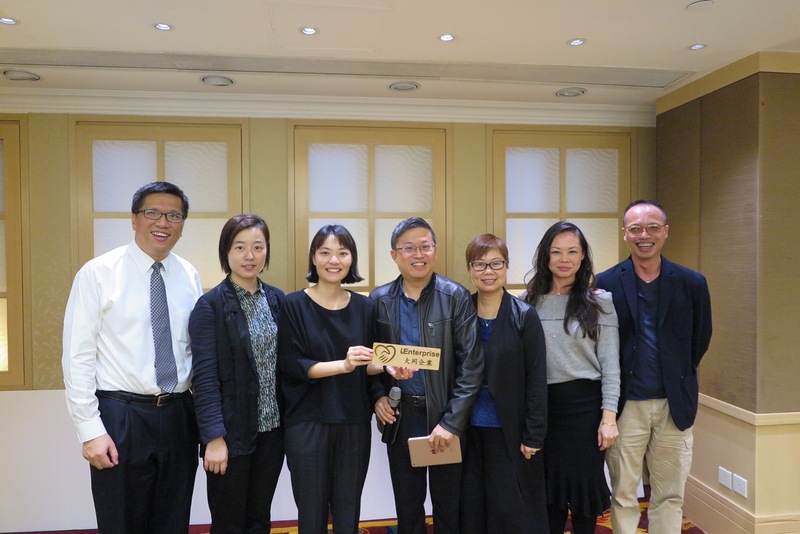 The Yeh Family Philanthropy Limited (“YFP”) announced the launch of Nurturing Social Minds (“NSM”), an innovative programme designed to provide a hands-on action learning experience in social entrepreneurship and venture philanthropy. NSM was conceived by YFP in partnership with the Hong Kong University of Science & Technology and successfully piloted for two years. 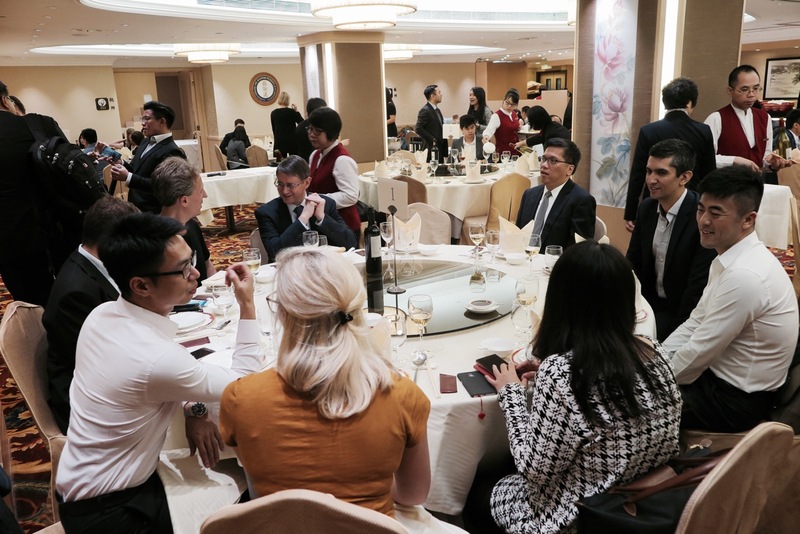 YFP is delighted to be an intermediary of the Social Innovation and Entrepreneurship Development Fund (“SIE Fund”) and have the opportunity to scale NSM into nine courses at two tertiary institutions in Hong Kong over three years. Each course integrates classroom learning with real life experience by creating an environment that requires students to engage in conversations and activities beyond their “institutional bubble.” From the first class, students in different disciplines are asked to work together in teams with a local social venture (“SV”). In addition to learning about theories and case studies on venture philanthropy, impact investments and social entrepreneurship, they will have access to international and local practitioners. 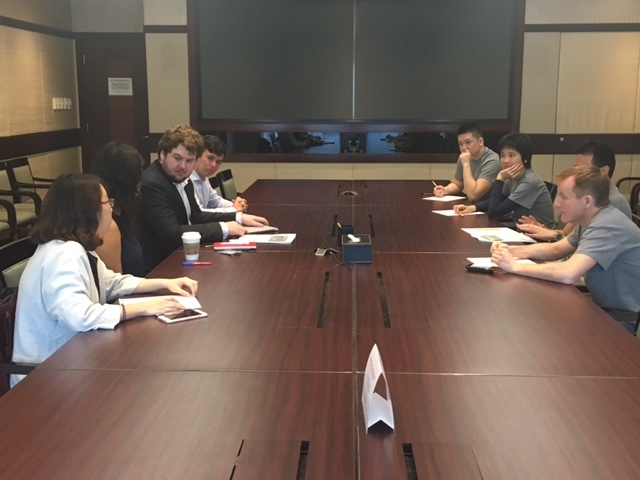 Concurrently, students are working in teams with the SVs, helping them identify their strategic needs and develop a proposal to obtain YFP’s catalytic grant. Through this process, the students not only act as business consultants but also as venture philanthropists. They play a critical role in determining which of the SVs receives the $250,000 funding when they act as judges, along with a panel of outside experts, in evaluating the proposals. The team that won this year represented Twopresents, an online party invitation and fundraising platform that allows children to turn their birthday parties into an opportunity to donate to their chosen charity. Twopresents founders Karola Szovati, Svetlana Kumanova and Shirin Staerkle took centre stage with their student team during the ceremony, passionately sharing their experiences and lessons from participating in the course. A Big Cheque for $250,000 was presented to the winning team by the officiating guests.